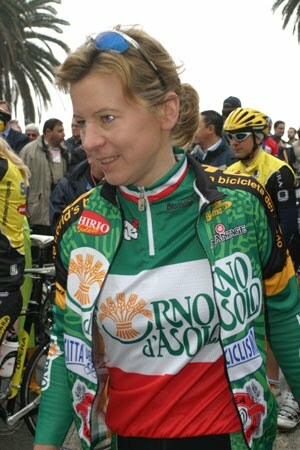 Alessandra Cappellotto (born 27-8-1968 in Sarcedo, Vicenza) is a retired female racing cyclist from Italy. She represented Italy at two consecutive Summer Olympics: 1996, and 2000. 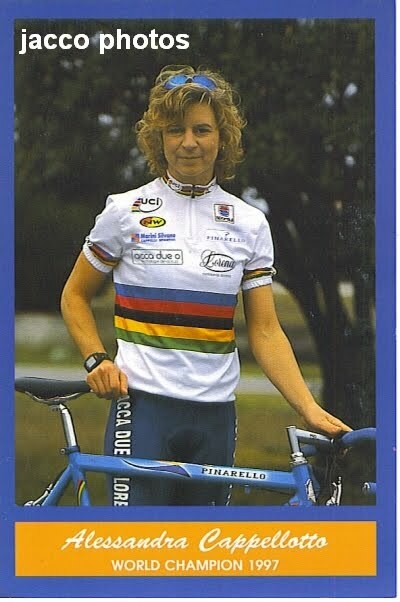 Amongst her best achievements was winning the world title in the women’s individual road race at the 1997 UCI Road World Championships in San Sebastian, Spain. Many thanks as always to Luigia. « A hero in the making…………….